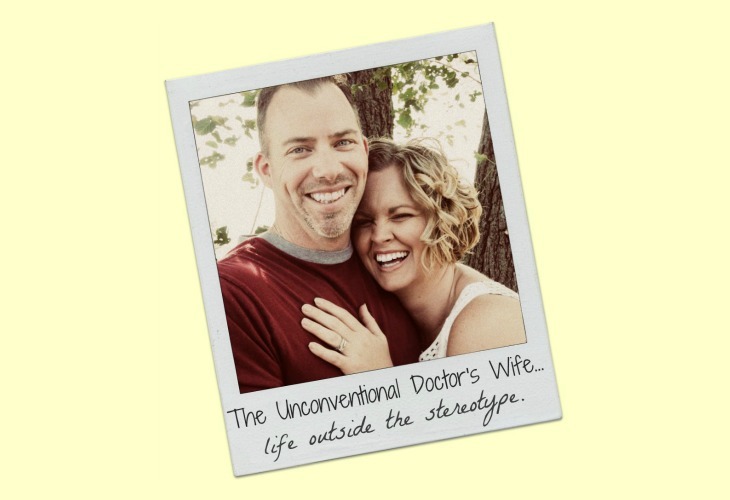 The Unconventional Doctor's Wife: We Are Family. I Got All My Sisters With Me. 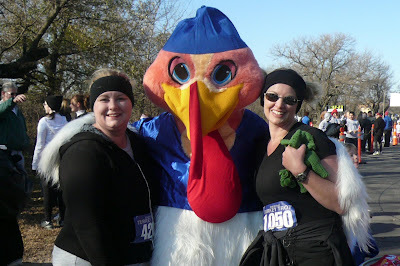 After last month's 2 mile race, we decided to sign up for another one called The Turkey Trot. 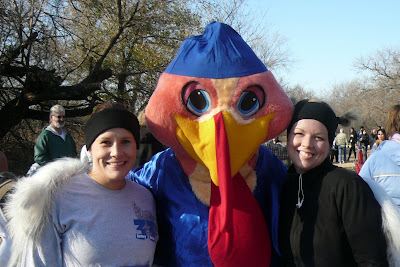 My sister, The Farm Chick and her family have a tradition of walking/running the Turkey Trot with her in laws every year. Since she was going to do it anyway, she decided to train and run with us. Her hubby, E.J. 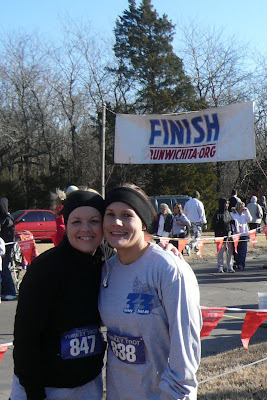 the Marathoner, was very supportive and encouraged her to take the challenge with us! And her MIL graciously agreed to push my nephews in the stroller! The boys were snuggled all up in blankets and layers of clothes...I think they were about as excited as they could be considering it was somewhere around 30 degrees outside. 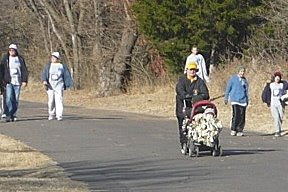 But they were so good as their Grandma pushed them through the 2 miles! Pretty Princess also was about as excited as one can be when one wakes up before 10 am to do one's favorite activity in the freezing cold. Did I mention the wind? And the wind chill in the teens? And the fact that we are crazy? But we had a goal and no one was going to stop us. We tried to look intimidating so that people would stay out of our way and know that we were so serious that they might as well just bow out now. 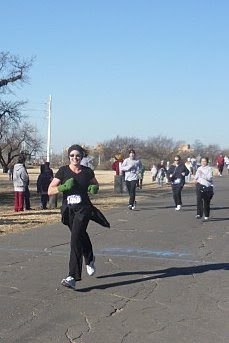 My unbiological sister, Birdie, wasn't able to make this race, but Rock Star's unbiological sister, Suzie Q did!!! (In our opinion, a girl can never have too many sisters.) 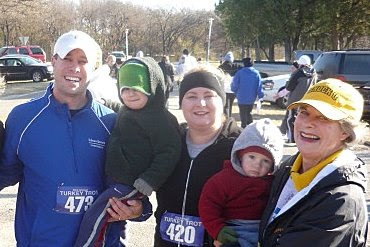 We also met up with our Mom's pal (who we will not discuss because she ran in the 10 mile race and made us all look like wussy girls and I don't like to focus on the negative. But you go girl!!!) We might need to come up with a name for ourselves...like "Sisterhood of the Traveling Spandex Pants" or "The HaHa Sisterhood". Ok...so I'm still working on it. Don't judge. Rock Star and Suzie Q finished quickly (and E.J. the Marathoner didn't get a chance to take their pictures running because he had just finished the race himself and he was our photographer.) 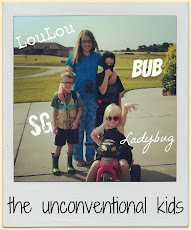 They are awesome. 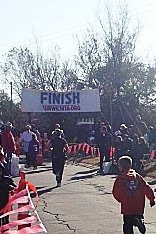 Rock Star knocked 1 and 1/2 minutes off her time from the last race. 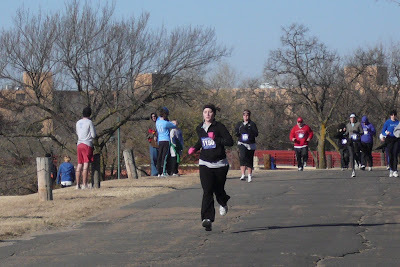 I finished 1 minute faster than my last race time, too! And yes, I was feeling very proud of myself. 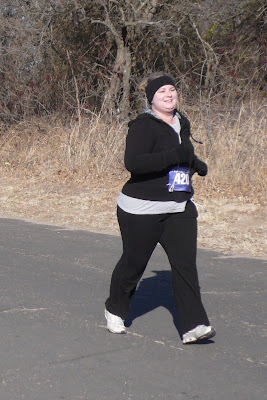 Mainly because this time I safety pinned my bib on my shirt under my jacket and not on my jacket itself (which meant I was able to take it off when I got too hot-unlike the last race where I baked like an oven). I felt good. Real good. Next, Pretty Princess came prancing down the stretch. 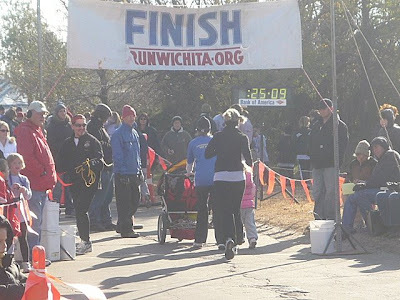 And crossed the finish line in all her cuteness. 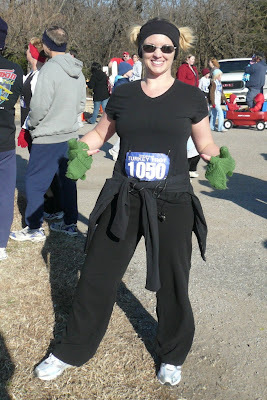 And proudly ran through the finish line, completing her goal of running the whole way!!!! Yeah, Baby. That's what I'm talking about! It isn't whether you win or lose. It's that you FINISH the race!!!! I was so proud of her and of all of us. 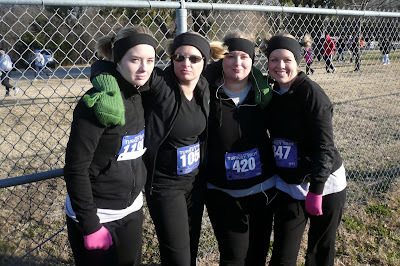 A year ago we would have ALL laughed if someone had said that we would all be entering races and running. My, my, my. Whoo hoo! We did it! 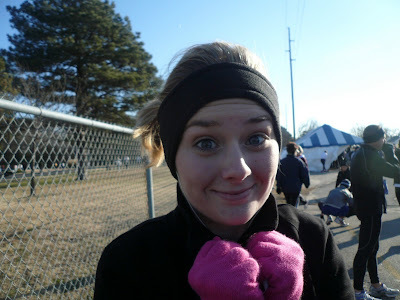 :) Thanks so much for the cheering section at the end! That looks like so much fun. Congrats to all!! You girls are very impressive! 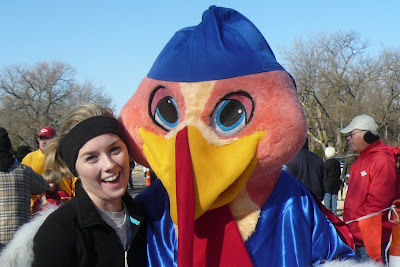 When you all run your marathon I will cheer you on! 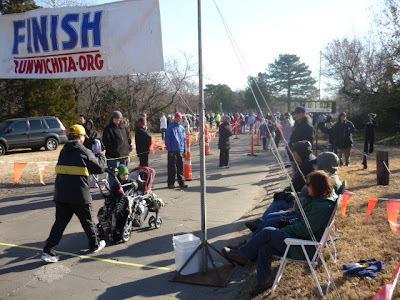 No marathon...for the love of pete! :) Why couldn't my sisters have taken up badminton?? ?